Millions of American kids struggle to read. That is a big problem. But maybe the problem is not the kids themselves. The way that children are usually taught how to read does not line up with decades of evidence on how they actually learn to read. 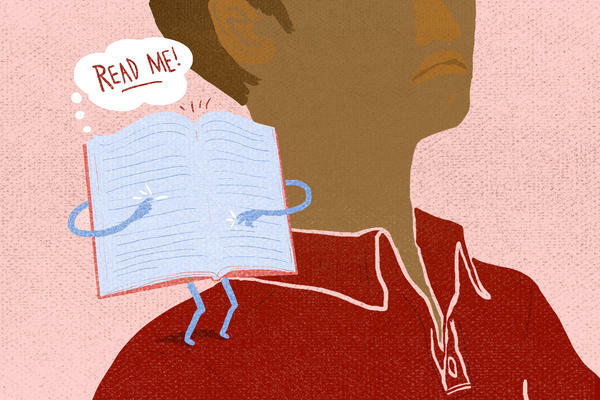 One school district figured out how wrong it was about reading and made some changes. Emily Hanford of APM Reports has the story. LYNN VENABLE AND UNIDENTIFIED CHILDREN: ...Spanking new. EMILY HANFORD, BYLINE: We're in Bethlehem, Pa., where six kindergartners are meeting with their teacher at a small, U-shaped table. They're doing what kindergartners do these days - learning how to read and write. VENABLE: So let's read it together. What's it say? VENABLE AND CHILDREN: My pet report. HANFORD: The children are writing a report about a pet they want. They have to write down three things that pet can do. A little boy named Quinn spells bark B-O-C - boc (ph). He needs some help discerning all the speech sounds in that word. VENABLE: What's the first sound? VENABLE: Buh - we got that one. That's B. Now what's the next sound? HANFORD: Quinn knows the meaning of the word bark. What he needs to learn is how each sound in that word is represented by letters. VENABLE: How do you make the sound arr (ph)? Arr? VENABLE: Arr. How do you write arr? Do you remember? Tell me. HANFORD: Scientists have figured out the key to learning how to read is understanding the relationship between the sounds in words and the letters that represent those sounds. Might sound obvious, but it's not how kids in Bethlehem were being taught a few years ago. How were they being taught? District leaders didn't actually know. So they asked Kim Harper, their new supervisor of literacy, to find out. She visited teachers at one of the district's lowest-performing elementary schools. KIM HARPER: And they were talking about how kids attack words in a story. HARPER: And the kid reads it as house, it's wrong. But if the kid said pony, it'd be right because pony and horse mean the same thing. HANFORD: Wait, what? First of all, pony and horse don't mean the same thing. And what does a kid do when there aren't any pictures? This advice to a beginning reader is based on an influential theory about reading. The theory basically says people use things like context and visual clues to read words. The theory assumes that learning to read is a natural process and that, with enough exposure to text, kids will eventually figure out how words work. Scientists have debunked this theory, but it continues to drive typical instruction in many schools. Something else that's typical? A lot of struggling readers. In Bethlehem, fewer than 60 percent of third graders were scoring proficient on the state reading test. Jack Silva, the chief academic officer, wanted to do something about that. JACK SILVA: It was really, you know, looking yourself in the mirror and saying, you know, less than 60 percent of third graders. And me being the chief academic officer, was just, OK, let's go. Let's do something differently. HANFORD: Silva started reading the scientific research on reading. It's been around for decades, but it's not stuff he'd been taught in his own preparation to be a teacher. And he soon realized the teachers in Bethlehem didn't know the science either. So the district invested in education for its educators. MARY DOE DONECKER: Good morning, everyone. HANFORD: A group of mostly first- and second-grade teachers is gathered in a conference room for a class on the science of reading. It's part of a year-long series of classes led by a consultant named Mary Doe Donecker. She begins today by going over speech sounds in words. Some are tricky. DONECKER: Tell me the first sound you hear in Eunice. DONECKER: Yuh (ph), before you get to the ooh (ph). How about Charlotte? 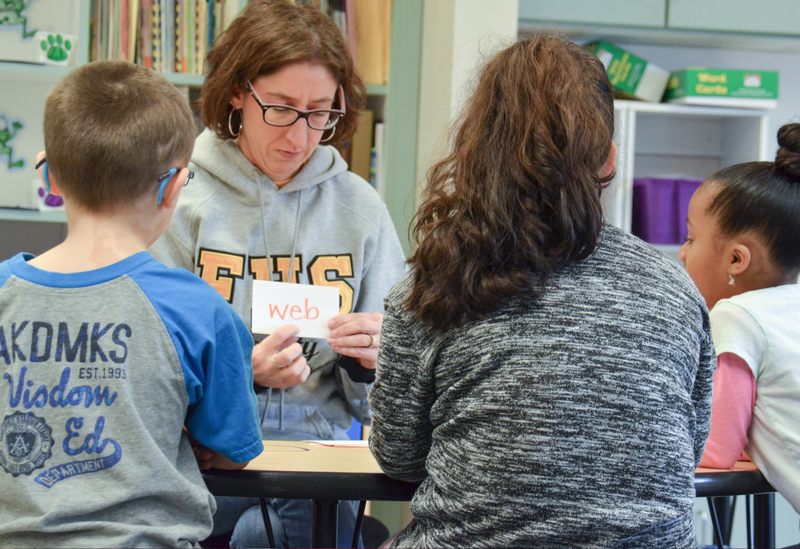 HANFORD: Teachers need a deep understanding of how sounds work in words to be able to help kids figure out the written code. Candy Maldonado thought she was teaching kids what they needed to know. In her first-grade classroom, it pretty much went like this. CANDY MALDONADO: So like, we did, like, a letter a week. So if the letter was A, we read books about A. We ate things with A. We found things with A. And then - but we never did anything else with it. HANFORD: She didn't think getting into the details of how words are made up of sounds mattered that much. The most important thing for the teachers here was to get kids excited about reading. I asked Maldonado and her colleague Adrienne Ibarra, when they were teaching that way, what was the idea about how children learn to read? Did you have a sense of that? ADRIENNE IBARRA: No. Now that I think about it, no, not really. It was just that they do. MALDONADO: (Laughter) Almost like it's automatic. HANFORD: Of course, some children do pick up reading quickly and easily. But learning to read is not automatic. Many kids will never be good readers unless they get explicit instruction. Lynn Venable, the kindergarten teacher you heard earlier, sees that now. 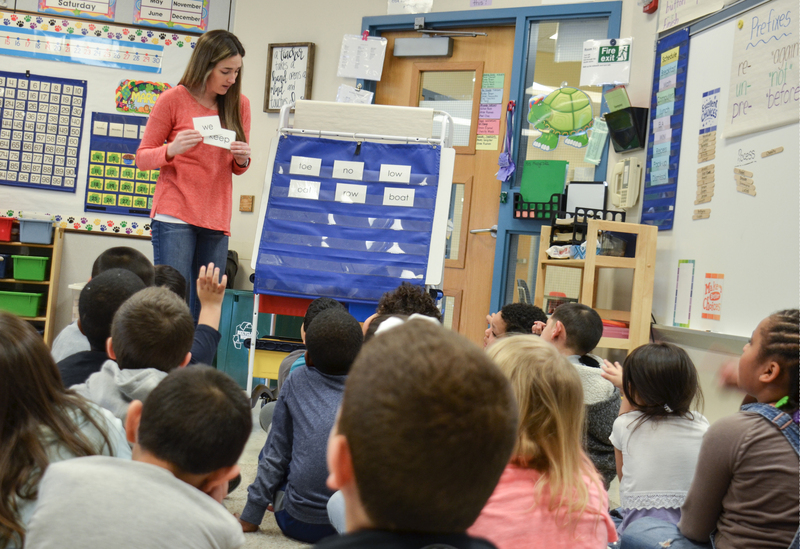 Before teachers at her school were taught the reading science, end-of-year tests showed that 65 percent of kindergartners were heading into first grade at risk of reading failure - 65 percent. After teachers learned the science, it was zero. VENABLE: My kids are successful and happy and believe in themselves. I don't have a single child in my room that has that look on their face like, I can't do this. HANFORD: For NPR News, I'm Emily Hanford. INSKEEP: Her story is from a documentary about why kids aren't being taught to read. It's called "Hard Words," and you can find a link at npr.org. Transcript provided by NPR, Copyright NPR.